1. First of all, choose a short haircut (such as chin or shoulder-length) and opt for a style that would make your hair look more voluminous. For example, a simple bob with subtle layers can give your fine tresses wonderful texture. 2. Highlight your limp hair to create an illusion of thicker locks. All you need to pick a shade lighter than you’re the natural one and apply it carefully to add texture and dimension to your hair. 3. When it comes to adding body to the hair, skipping creamy shampoo is always the best idea. These are mostly made to tame thick, coarse and frizzy hair. Rather, use dry shampoo or any other volumizing shampoo that can keep the roots oil-free, thereby making the hair bouncy. 4. Rinse your hair with apple cider vinegar at least twice every month. This will help you get rid of product buildup, excess oil, dandruff, etc. from your scalp. At the same time, your hair will get a nice volume. 5. Your hair dryer can help you add the desired body to your hair if used properly. Just flip over your locks when using it each time after taking a shower. Make sure that you brush (straight hair) or run your fingers (frizzy curls) through them, while blow-drying upside down. 6. 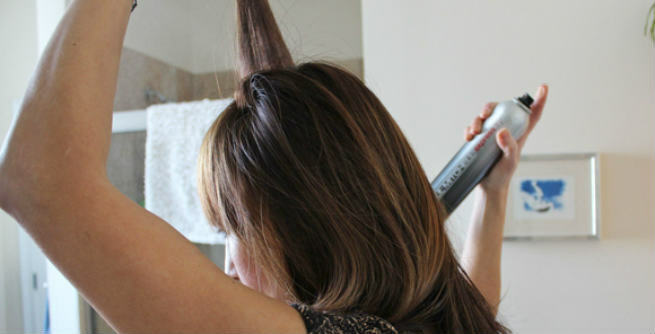 It is important that you make use of a round brush during your blow-dry session. This way, you will be able to direct your locks towards their roots from the scalp, thereby creating considerable volume. 7. Give commercial hair volumizing or thickening products a try. Well, not all of them will work for you. You may find that some are weighing your limp hair even more down. But if you choose them carefully (keeping the brand reputation in mind), you can seriously boost your hair volume. 8. No matter how much you love smooth and straight hairstyle, it can actually make your tresses look flatter. So, opt for soft beautiful curls. You can simply curl up the ends of your hair with your curling iron in order to get moderate bounce. 9. Keep conditioner at bay. As we all know, conditioner can tame frizzy, unmanageable hair. So, using it on your already limp hair will make it even more wilted. In case you can’t help it, simply add a twist to your routine by using shampoo after the conditioner. 10. Hair spray is a must for fine and limp hair. Use it across three different sections of your scalp after blow drying and parting your hair. You need to flip your locks over and apply the spray from the front to the back of your head by taking small layers of hair at a time.